Cosmo Sourcing makes it simple to plan, find, make, & ship your next product from China and Vietnam! Fill out a request and let us handle your sourcing, shipping, inspections, and more! Cosmo sourcing Finds you the best supplier in China and VIetnam! Cosmo works with you to make sure that you have everything you need to start your project. We help you create a Product Spec Sheet, an RFQ and do Product Validation, so that you are fully prepared to get your product made exactly how you want it.This is to make sure that the end result is exactly the product you want but also can be understood and carried out by the manufacturer. We find, talk to and evaluate suppliers on your behalf. To find suppliers we use 8 different resources to create a large list of suppliers, then we evaluate them based on a custom rating system designed with you. We then deliver a sourcing report with the final suppliers, and make the whole process completely transparent so you have the full info. 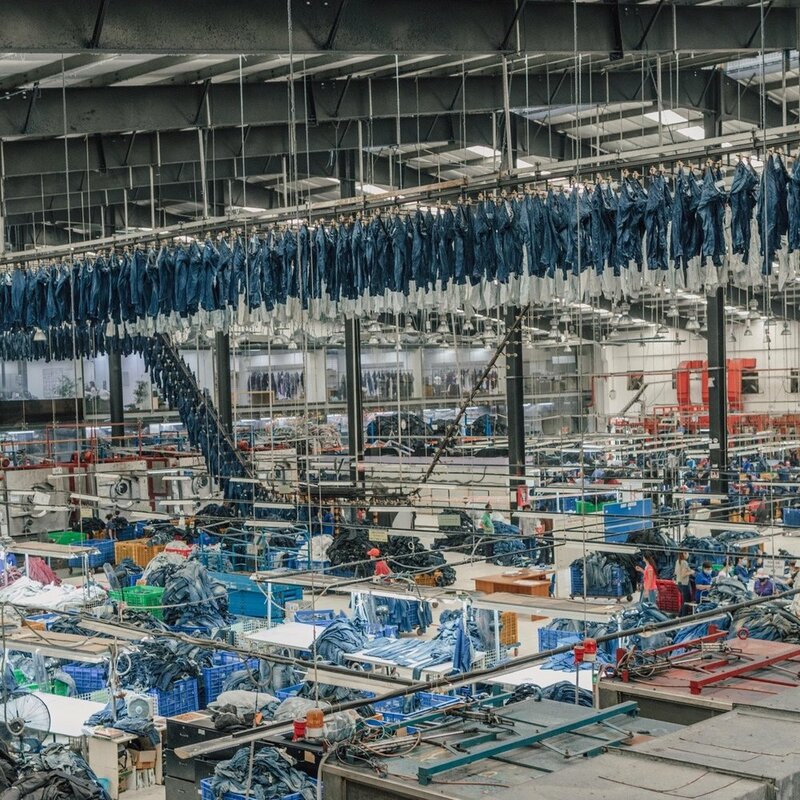 Cosmo will send someone to visit the factory and meet with the management, double check the authenticity of the factory and inspect all equipment to make sure that it can be used. We then sit down and negotiate with them to finalize the details of the production of your product. 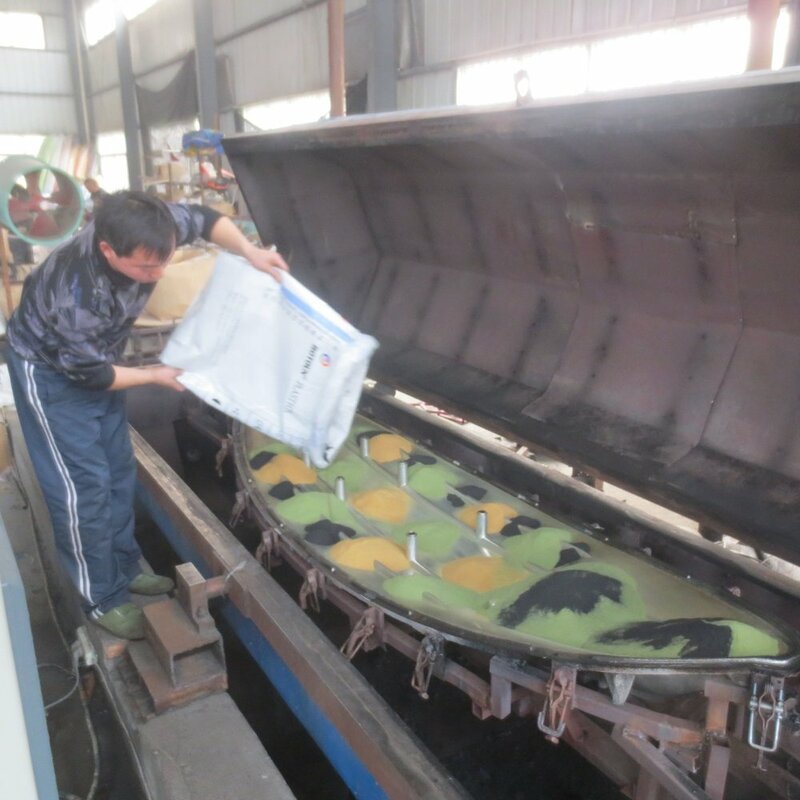 While visiting the factory we will complete a full and detailed factory audit and deliver a report to you. We work with a freight forwarder to ship your product to its final destination. Many of our clients are FBA sellers and have their products prepped before they are sent to Amazon's Fulfillment centers. We offer guidance, advice for you. We will provide a list of quotes and guidance from several freight forwarders and FBA Prep Services. Since 2013, Cosmo Sourcing has been making sourcing as simple, open, and trustworthy as possible. Cosmo is one of the only fully transparent sourcing companies. We charge a flat rate with no commission, and you’ll always deal directly with the supplier without any middlemen. We are the trusted partners for small buyers, FBA sellers, and big corporations buying from China, Vietnam and beyond. What makes Cosmo Different than other Sourcing Companies? Cosmo sourcing is fully transparent, and you'll be able to connect directly with the factory, without any middle men. At the end of our sourcing process you'll get a detailed list of up to 6 fully vetted factories. This includes detailed quotes, negotiated by our skilled negotiators. We create a custom ranking system for each project based on your requirements to ensure that the factories we choose are perfect for you. We even put the whole processes in the cloud so you can follow our work at every step. For every project, Cosmo creates a custom tailored rating system based on whats most important to you in a supplier. Common factors include cost, quality, living wages, environmentally friendly, and much more. We use this rating system to create a decision matrix when we evaluate suppliers so that you end up with the best supplier possible for your product! INTERNATIONAL PRESENCE // Cosmo is has a presence in Shanghai, Shenzhen, Hong Kong, Ho Chi Minh City and the USA. We are one of the only sourcing companies that can source from multiple countries simultaneously. PROVEN RESULTS // Over $40 million USD in products sourced for hundreds of clients. AMERICAN OWNED AND MANAGED // We adhere to American standards of quality and expectation. Payments are to a US bank account, and contracts are enforceable in The States. EXPERIENCE // We have sourcing professionals with years of experience in sourcing, logistics, manufacturing and more that are fluent in both Mandarin and English. UNDERSTAND CHINESE AND VIETNAMESE CULTURE // With years of experience living and working in China and Vietnam we understand even the smallest nuances in both personal and business culture. NO CONFLICT OF INTEREST // Cosmo forbids our employees from selling on Amazon FBA, or any other platform. We also make sure that suppliers sign contracts so that they cannot sell your products on any online platform. STRICT CLIENT CONFIDENTIALITY // NDA’s are standard in any contract and built into our terms of service. If you’re going to the Canton fair Be sure to also check out the Global Sources summit in nearby Hong Kong. This summit is made just for private label sellers, eCom sellers, and FBA sellers. This summit is a fantastic way to network with other sellers, get advice from some to the top eCommerce experts and find suppliers before anyone else. Trade Shows are a great way to meet a large number of supplier in person in Vietnam. Not only will you get to see and try out many of their products in persons, you can meet a representative and start to build a contact. At Cosmo we often budget some time after a trade show to actually go and meet with the most promising factories and supplier in person, and learn more about their production capabilities. This is a good list of the Trade Shows that are worth attending in Vietnam. We’re going to be at several of these, so if feel free to email us at info@cosmsourcing.com if you want to meet up! Vietnam Manufacturing is booming and finding the right supplier is getting easier but it’s not as easy as China and there are still several challenges. One of the biggest issues with finding suppliers is that the business landscape of Vietnam is fragmented. While Vietnam is the third fastest growing economy in the world, the country is still experiencing growing pains. When finding a supplier it sometimes feels like the wild west and information can be hard to come by without actually being there. Despite this, there are still several resources to help you out. This guide compiles the best ways to find a supplier in Vietnam. The RFQ will be the first thing that a supplier reads from you. It’s important that a good RFQ both introduces your product and yourself in a manner that a supplier will want to do business with you. A good RFQ should be simple and easy to read while also covering all essential details. How is a Request for Quote different from a Spec Sheet? To be honest for some projects there isn’t that much difference. For other projects, they can be drastically different. Why? It really depends on the complexity of the project. If you are sourcing a simple item you can use your full spec sheet in the RFQ, but if the project is more complex, then you may want to make a simplified product spec sheet to attach to the RFQ. If you’re searching for a supplier, these are the different types of companies you will encounter in China. When sourcing on Alibaba, Global Sources or other similar websites, be careful as many trading companies and wholesalers will present themselves as factories. It’s difficult to tell from a beginner's perspective, and it can take a second look to tell them apart. Always remember that the best supplier is buying from the factory directly and not from a reseller. Validation is a great place to set the foundation for sourcing your product. During validation, you’re able to organize your project and get everything in place for the full sourcing. For most projects, this should be the first real step in starting your sourcing journey, or second only to selecting your product idea and coming up with a product spec sheet. Most of the time, we feel it’s wise to do validation before the final product specification sheet or when you have a vague idea about a product or a niche a client wishes to tackle. Validation allows you to figure out if your product can be made, and if so, will it be profitable. By now you should know that the US has imposed a 10% tariff on around $200 Billion worth of goods exported from China into the United States and is expected to rise to 25% on March 1st, pending a lack of a trade agreement. Now there is a great deal of uncertainty with the tariffs, but we will let you know how you can navigate it the best that you can. Even before the current trade dispute, buyers still had to pay duties and customs fees on a wide range of products shipped into the United States. Canton Fair 2019: Guide to the Spring 2019 Canton Fair! Are You Going To The Fall 2018 Canton Fair But Don’t Know What To Expect? Check Out Our Insider Guide So That You Can Master The Fair Before You Go. The Canton Fair In Guangzhou, Held Every Spring And Fall, Is The Largest Trade Fair In The World. This Is Easily One Of The Best Places To Find And Connect With Potential Suppliers And Add To Your List Of Contacts. If you can imagine a product, then there is a probably a factory who can build it. China and Vietnam have a seemingly endless number of manufacturers that have the capabilities to make a wide variety of products. But how do you know that the supplier makes your product exactly as you want? With a well-written product specification sheet. While it takes several steps to make your idea into a product, one of the first things you need to do is create a product specification sheet. Cosmo Sourcing has simplified this process into our simple sourcing, which has 4 steps: Plan, find, make and ship. Incoterms Defined: What does EXW, FCA, FOB, DAP, DAT, DDP, CPT, CIP, CIF, CFR, or FAS Mean? Are you unsure about the trade terms of Alibaba or Chinese suppliers? Don't know what the 3 letters that came with your quote mean? Cosmo has defined the 2010 Incoterms abbreviations, such as FOB, CFR, and DAP for international trade. Incoterms, often called trade terms or shipping terms, are an international contract of sale. Incoterms is short for International Commercial Terms. EXW and FOB are far and away the two most common incoterms. Incoterms are published by the International Chamber of Commerce (ICC) who hold the copyright. Like most people you want to save as much money as possible when you buy your products. In Chinese society, negotiations are expected and are part of business norms. But be warned, many factories have years, if not decades, of experience negotiating. We made this guide in order to give you a leg up on as you prepare to negotiate with your suppliers. Contact us to find out how Cosmo Sourcing can help you!